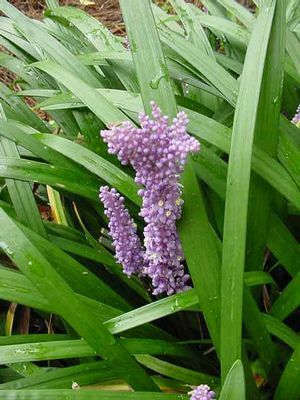 Perhaps the hardiest species of Liriope, spicata has pale lavender flower spikes in July-August close to the 12” grassy green foliage. Spicata quickly forms a thick mat of evergreen foliage and is known to withstand colder temperatures than other Liriopes although its flowers are just a bit smaller and not as showy. A mowing or trim in early spring will encourage growth.